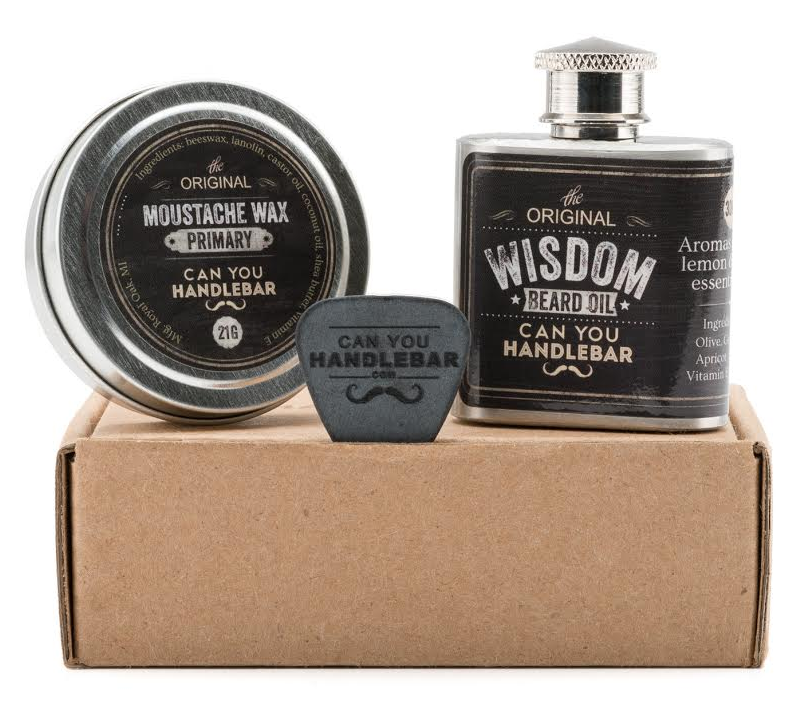 Can You Handlebar makes beard oil and mustache wax. What do these oils do, you ask? Here’s a quick FAQ. Can You Handlebar oil is made from Vitamin E, coconut oil, local bees wax (local to Michigan), and comes in three rugged scents–Wisdom, Initiative, and Temperance. All products are made by hand. Visit the website at www.canyouhandlebar.com. 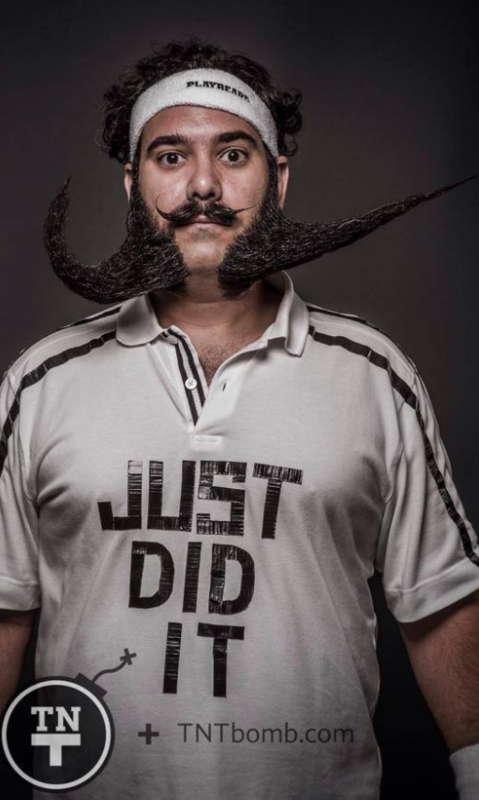 Let’s reclaim the public beardspace from the hipsters. What exactly is a “Dreadnought”? 1) A person that fears nothing. 2) One that is amongst the largest and most powerful of its kind. Which makes it perfect to tackle your badass face skin that needs to be moisturized into submission. Dreadnought is on a mission to convince the men of the world to “man up and moisturize!” And the new Dreadnought Cooling Moisturizer is a product featuring the “manliest of ingredients”. Comprised of hard-assed, exotic compounds like Prickly Pear, Stinging Nettle and Fenugreek, they actually join forces to moisturize and reinvigorate the skin. The moisturizer itself is a cream, not a gel, and has a full-bodied, thick consistency, yet quickly absorbs into the skin. Also, you don’t have to douse yourself in the product to completely cover your targeted area. Because it is high-quality, a small dollop will cover the entire surface of your face. The scent screamed “MAN!” without being invasive or overbearing, and has a certain stateliness to it. It lends itself to a quick spruce up before a night on the prowl and almost serves as an aftershave in that capacity, with a crisp, clean scent. If you have tough, hard to moisturize (aka “manly”) skin that usually destroys inferior “brand x” products, take the challenge that is Dreadnought. Oh, and the canister just looks cool sitting on your sink or designated “man grooming” area. For more information and to check out the entire line of awesome Dreadnought products, visit the website here. In the heart of the current political season, and in the interest of full disclosure, I must say that I have always been pro-Gillette throughout my personal shaving career. 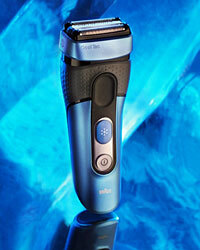 It started way back in the mid-nineties, when I fell in love with the Gillette Mach 3 right out of Harvard Law. Three blades at the time was revolutionary (not as progressive, but certainly more moderate than the Schick Hydro 5 Power Select and it’s five blade setup) and I used it faithfully for years. That being said, I was totally unaware and fully surprised when I recently received the Gillette ProGlide Styler for review. So rest assured, this review comes to you as the result of a fully non-partisan effort.